Congratulations Lisa! I think we all know the feeling well. :) E-mail me your info. and Abbie will be in touch soon! Ok. I’ve been organizing up a storm and am ready to share more progress with you today. 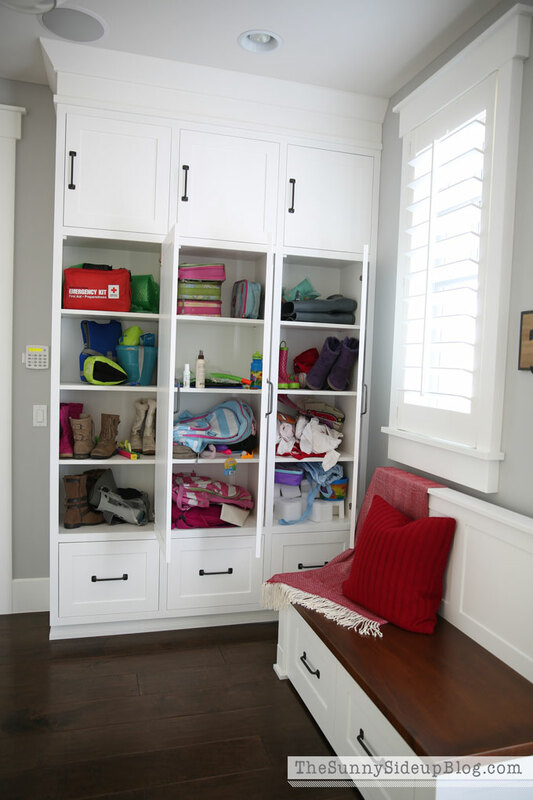 You all know when I designed my mudroom I decided on closed cabinets to hide the mess. I absolutely love them and will always be so happy with that decision. This room for the most part, always looks clean. Regardless of what’s lurking behind closed doors. But things were starting to get a little crazy behind those closed doors and it was time to do something about it. I didn’t take a before picture of these cupboards.. I should have. They weren’t awful, just too full. If I don’t watch it close, the kids will all of the sudden have six jackets and five bags and all sorts of other random items stuffed inside. I took everything out and dumped it on the floor. I wiped down every cupboard and vacuumed every drawer. I had the kids choose their most worn jackets and bags to put inside and then had them take everything else up to their rooms. This is what they look like now. SO MUCH BETTER. A few months ago I put a clear container in Kole’s drawer to hold his socks. Brilliant! Now there is no running back to his room every morning to grab a pair. My girls go upstairs to do their hair before we leave in the morning so grabbing socks wasn’t a big deal for them, but with my little buddy it was always holding us up. My laundry room is right next to the mudroom so after I wash his socks they go straight in his drawer. Love solutions like that! The container is usually full of socks – when I took this picture I was behind on laundry. :) My husband’s drawer holds a few balls. The kids were playing with the other two that also go in this drawer. Ahhh.. clean drawers are happy drawers. These tall cupboards never really had a purpose. After we moved into the house they slowly became catch alls for random junk and extra bags and shoes. I got rid of so much excess that now they are half empty! I might store something else here at some point, but for now they are just extra shelves for my girls’ shoes and a few extra backpacks and lunch boxes. I always need an extra backpack for their beach camp each summer, but I was holding on to way too many extras. Love that this room holds all of my kids’ shoes so they don’t have any in their closets. I cleaned out all of the drawers below too. I went though all the flip flops and tossed several pairs that were too dirty or too small. Now all of the rest fit in this one drawer. 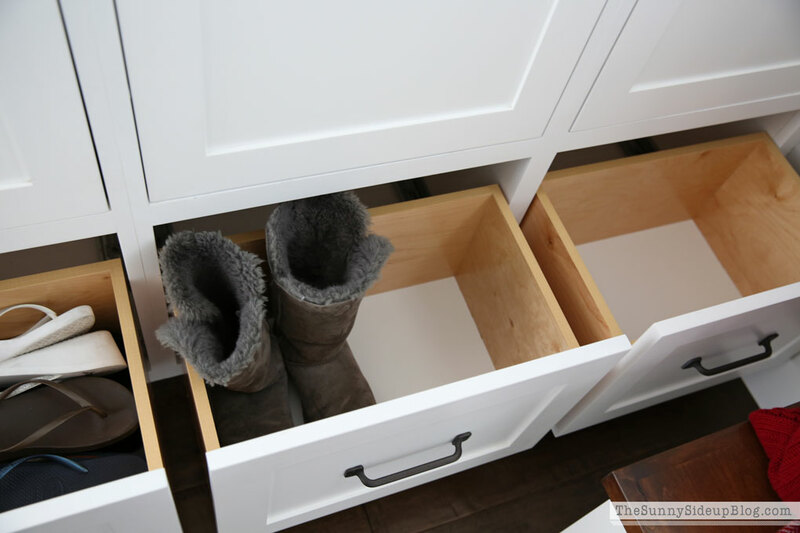 My tall Uggs in the middle drawer and that’s it! It feels so nice to only have the things we actually use/need in this mudroom! 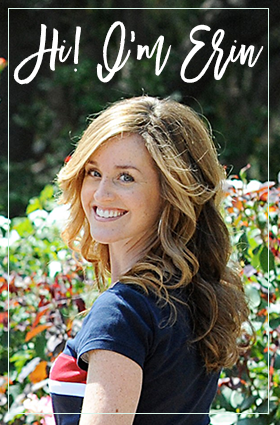 Remember my two secrets to staying organized? Less is more and I’m loving that I now have empty cupboards and drawers. I also cleaned out my little bench drawers that had been accumulating various junk treasures. 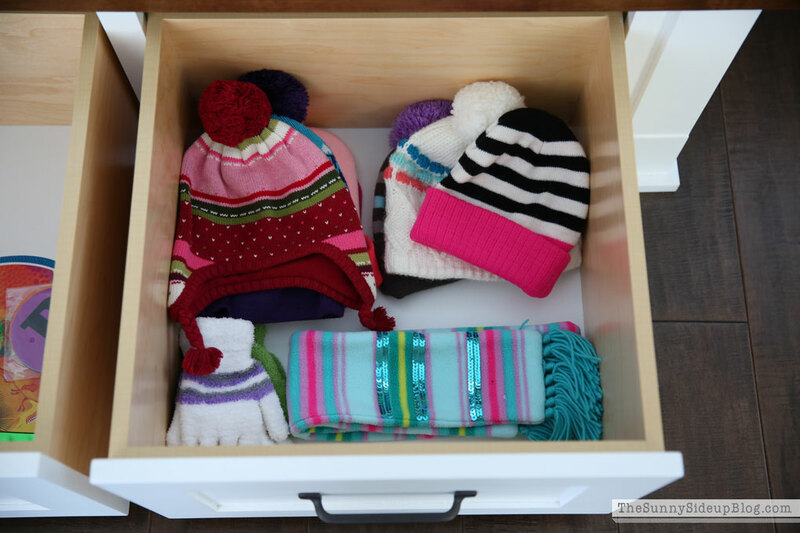 The right side holds the girls’ hats, gloves and scarves. And we all remember my little hobbit luggage closet right? It’s nice and clean too making this mudroom completely finished! I even took a Mr. Clean Magic Eraser and wiped down the outside of every cupboard in this room. (They work great on white cabinets btw.) Now my mudroom is sparkling! So nice to check it off of my list! Have you been checking things off of your organizing list? If you feel overwhelmed, just start! 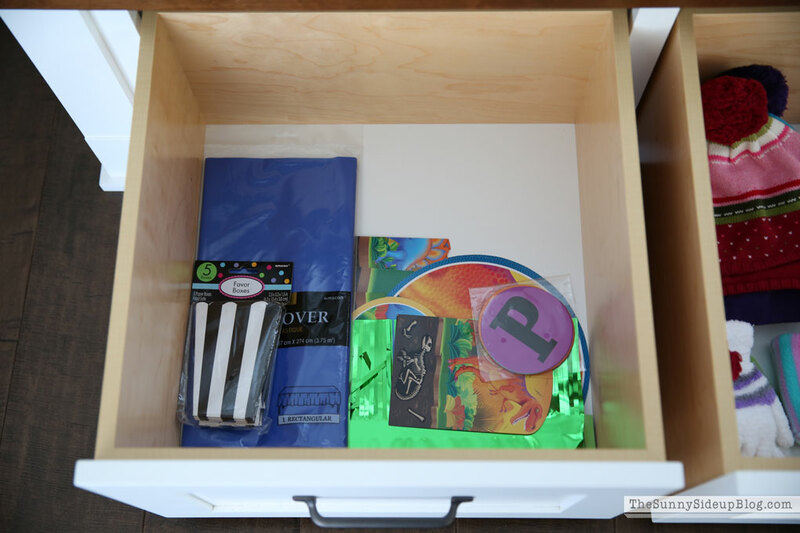 Pick a small drawer and clean it out. It will feel so good you’ll be motivated to clean another one. And clean out another one is exactly what I’m going to do. 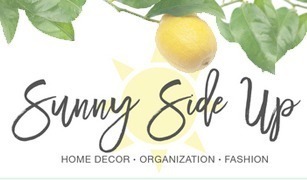 :) Happy organizing friends! Seriously cutest and largest mud room ever!!!! I love all the built-ins and storage space!!! Such cute simple decor too. Love it!!!! 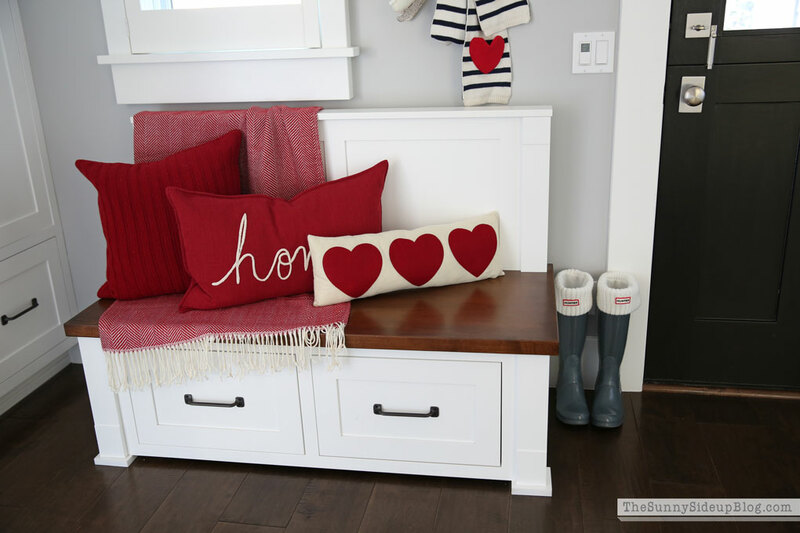 Your mudroom is amazing and looks so cool with the Valentine touches! Great job on organizing all the cupboards and drawers! 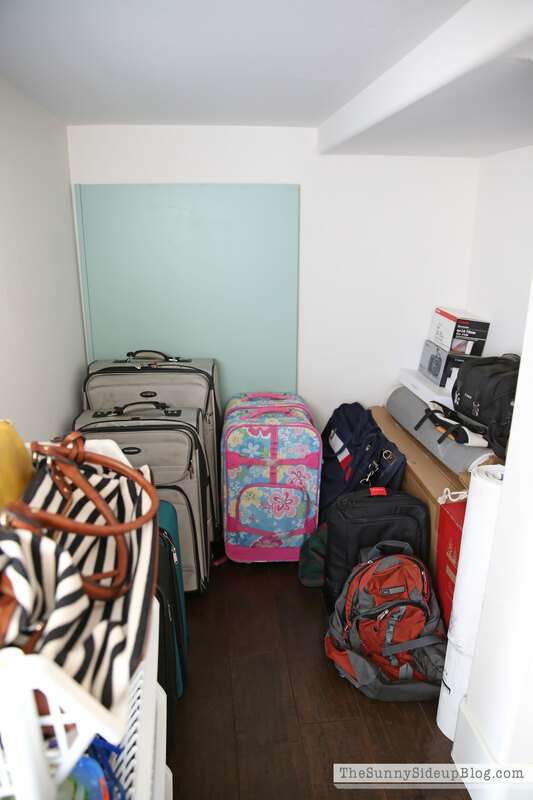 I’m kind of doing the Kon Mari method of cleaning out but on a much smaller and less intense process….it is fun to pack up the car trunk with bags & bags to take to Goodwill! Gorgeous! Love the Converse. Gotta have something to save the universe in, LOL! Looks fantastic, Erin! You’ve got lots of storage, but your show that if you don’t have a purpose for some of those storage places, chaos will reign. Your solution for Kole is pretty brilliant! The entire space looks fabulous. Your decor is perfect for the holiday. Ha, ha on not letting your daughter use her scarf, but I definitely see why! :) Happy Monday to you! Loved this post, Erin! You’re an inspiration, as always. Quick question: what do you keep inside the baskets on top of the lockers? Erin, it looks so fresh and so clean and so nice and organized! Love it! I did the sock bin for the kids about a year ago and it’s such a simple thing, but seriously changed our mornings! A total time saver! Looks awesome! Love the Valentines decorations and the scarf is perfect! ours out and I have the most annoying question ever 😬 Any chance you’d have the time at some point to post measurements of the shoe drawers and widths of the cubbies? Did you ever get a chance to post the measurements for the lockers and drawers? 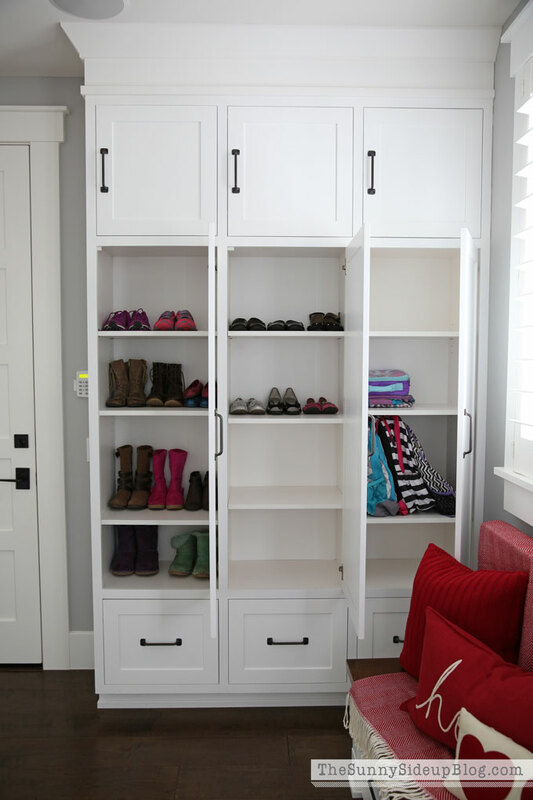 I am also going to have a cabinet maker make our lockers and this would be so helpful! Thank you! HI! I looked for your email and can’t find it. We are in the process of building and I’d love to know the dimensions as well. Hi Erin! Love your mudroom. 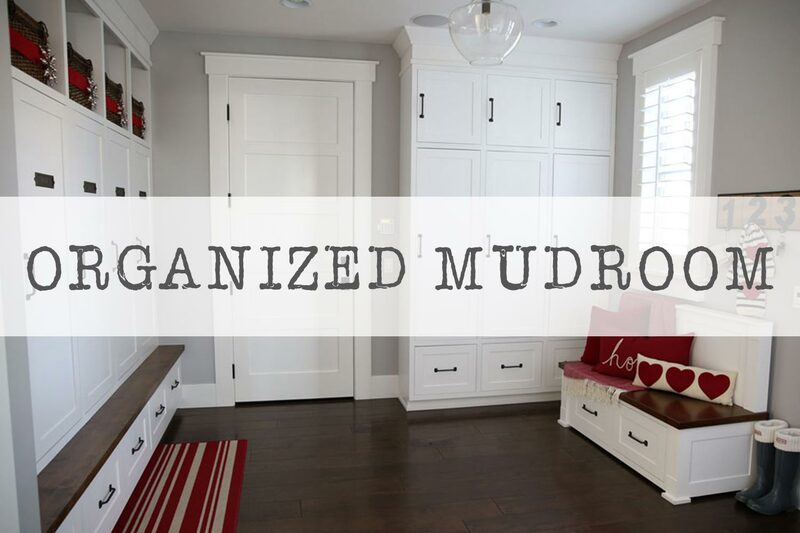 In fact your mudroom is the inspiration for my mudroom! Also, LOVE the sock bun idea. I already found an empty bin and implemented the idea. Thanks so much for your great ideas. 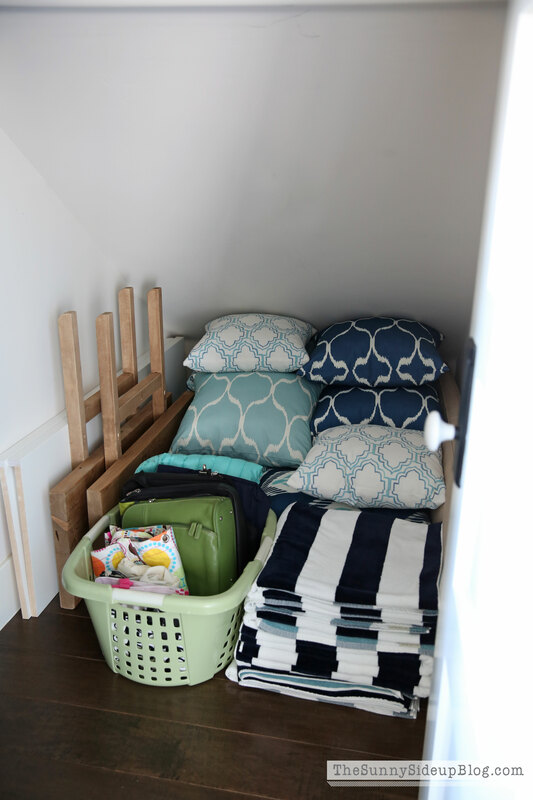 I SWOON over your mud room! Love this and the thought that must have gone into creating such a useful space. 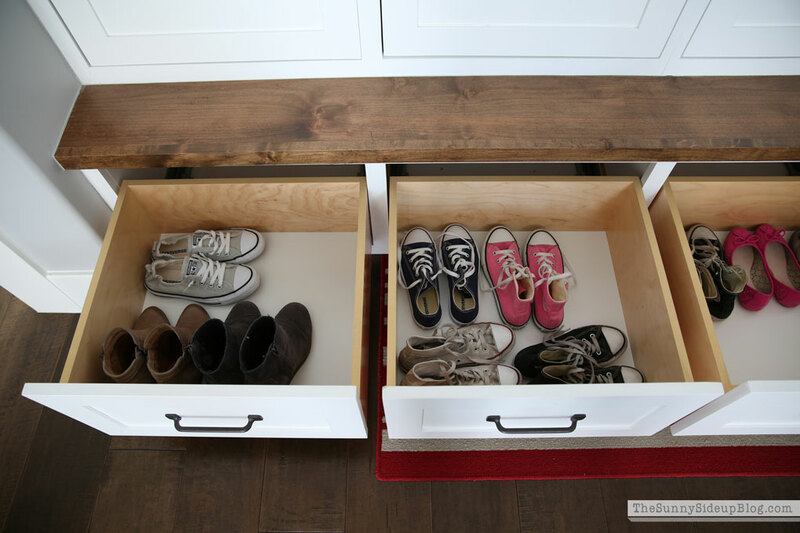 What are the locker and shoe drawer dimensions? What do you keep in the baskets above the lockers? And what is in the upper cabinet on the non locker side? Sorry for so many questions!! 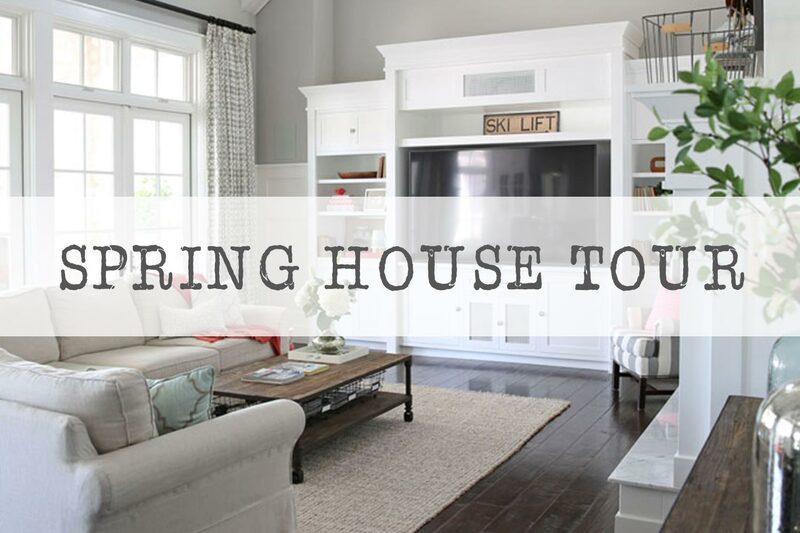 Oh how I love this room…….I have a question ~ I noticed a speaker in your ceiling, and am wondering which sound system you are using? Ours is 9 years old and we have all the ceiling speakers hard wired, but sadly I haven’t been using it ~ i have a receiver and 5-disc CD player ( totally ancient…..lol) Is yours on Bluetooth? I’ve seen people control theirs with their phones ~ that would rock my world! Thanks so much. Our speakers are wired to our receiver, which is a middle of the road Yamaha receiver. The receiver is only a couple of years old though, and receivers made in the last few years connect to your phone either through Bluetooth or even without Bluetooth through your home network. You connect the receiver to your home network like you would a computer, and then as long as your phone is connected to the same wireless network you can control the receiver from anywhere in the house through an app on your phone. Since the receiver is connected to the Internet you can run things like Pandora radio on it too, and all that can be controlled on your phone. Wow!!! 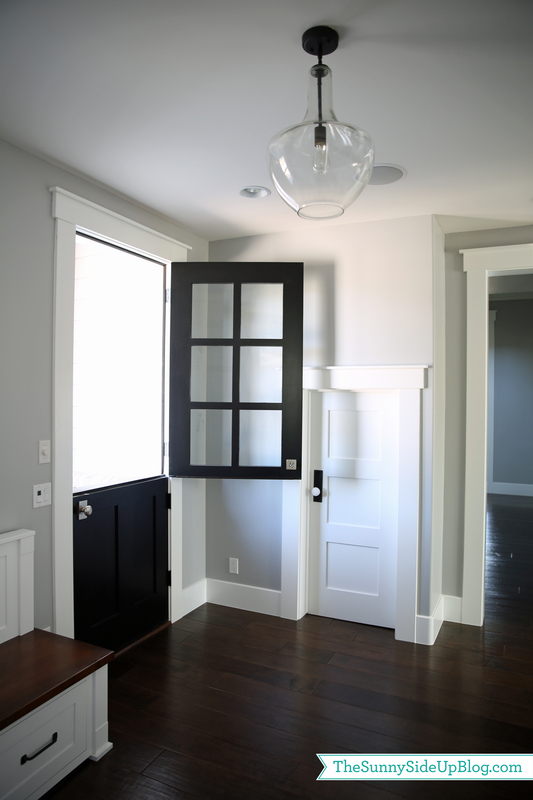 You have the most amazing mudroom! You have encouraged me to try and organize mine! Great post! Erin, as usual you are my organing hero!i look forward to your accomplishments and use you as a guide and push through my chaos and tackle my goals. I cleaned out my pantry this last weekend and I 💜 to stare at my “mini store”. Please tell me I am not the only one that fronts their shelves to look like a grocery store!?! ☺️ Keep up the good work MaMa Erin!! Always an inspiration Erin! Did I miss where the adorable-I-have-to-have-it heart pillow is from? Thanks!! Erin, I’m obsessed with your mud room! 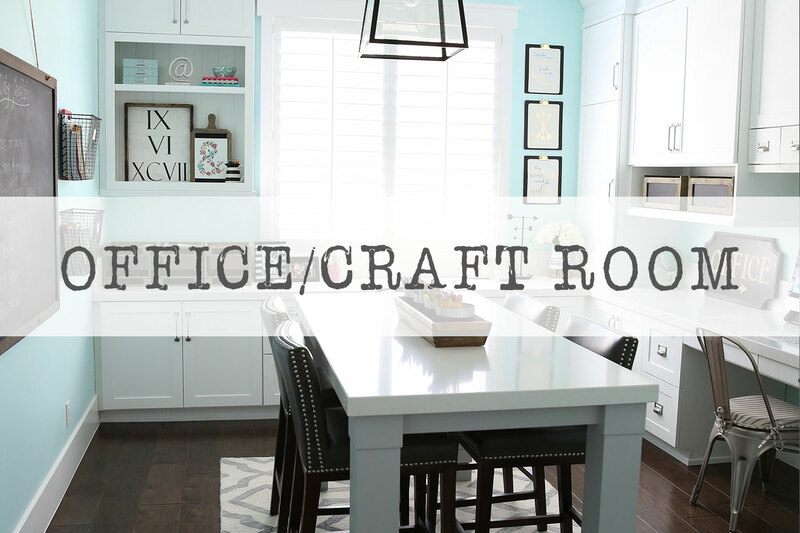 We have four children ages six and under and I’ve been searching for over a month now for a plan that I like for in our game room and came across your blog earlier this week! I’m going to get someone to build me something like this, but I was wondering if you could email me your dimensions, specifically, how tall/wide are the insides of the lockers and the shelf, how wide are the pull out drawers on the bottom, width of bench, and how deep is the entire thing. My space is much smaller than yours so i’m going to have to modify it, but I don’t even know how to get started. It’s overwhelming! Any info you would be willing to share would be so appreciated. 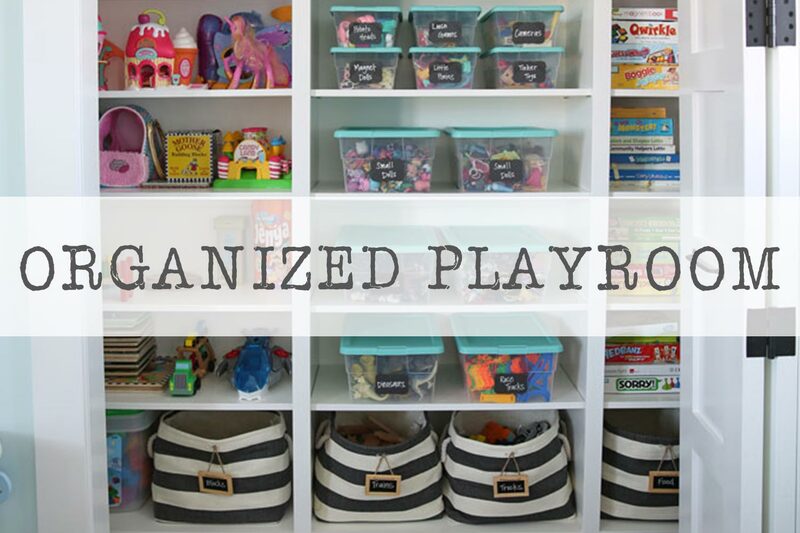 I’ve been on a purging binge and your blog has really inspired me, especially the organized playroom, school supplies and now the mudroom. 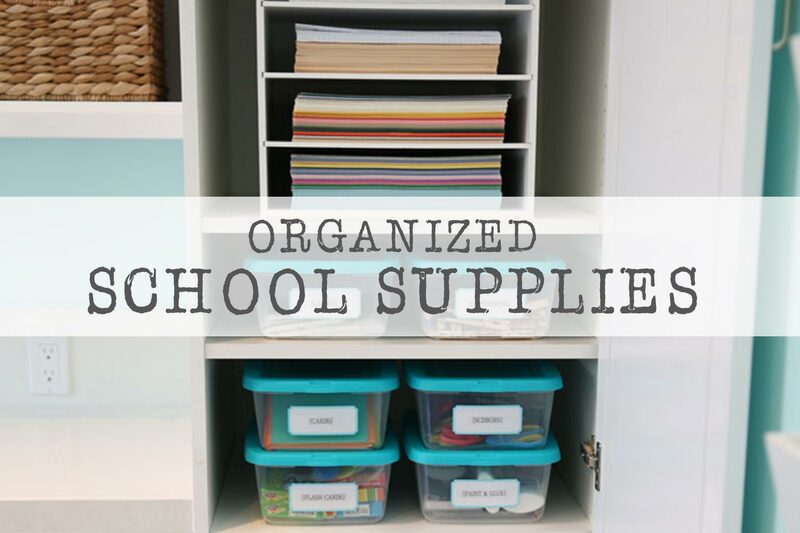 I can’t wait to get started on organizing our home! 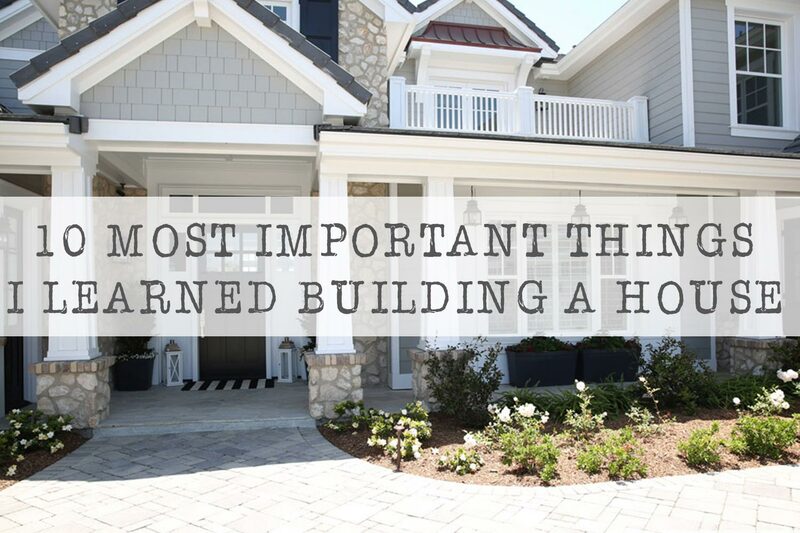 Your home is absolutely beautiful!! 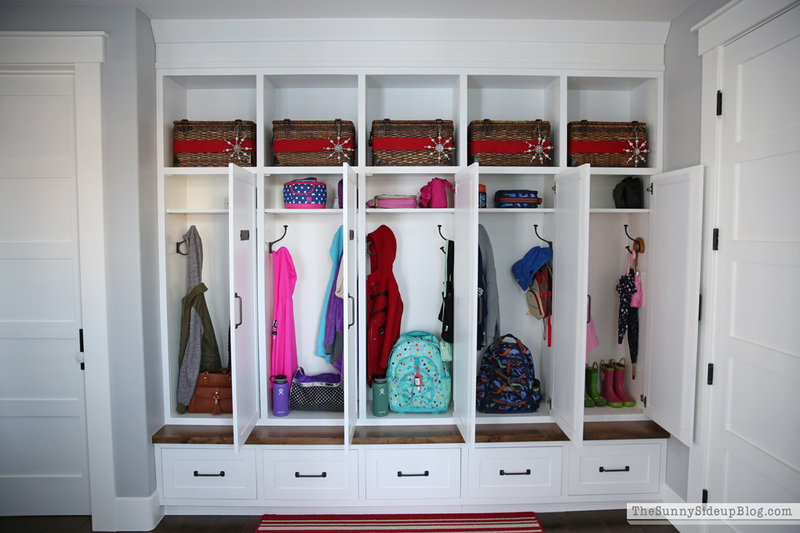 I just love this mudroom! 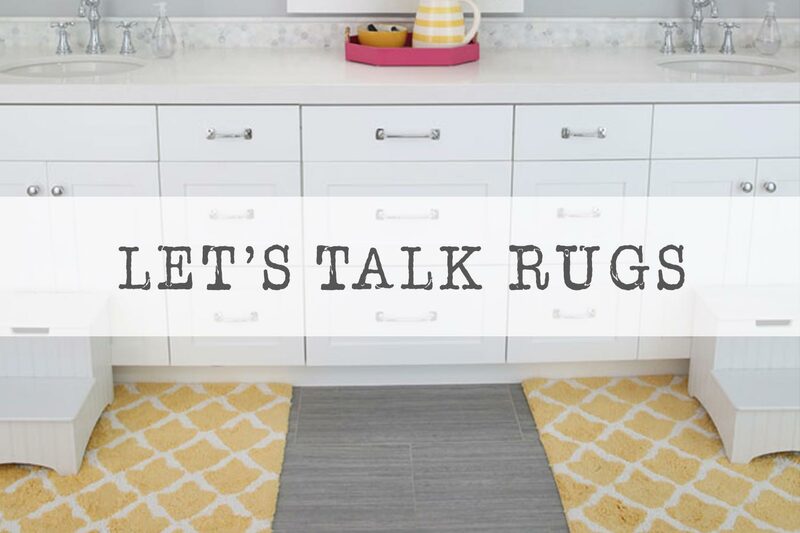 I’ve been doing quite a bit of research online for mudroom ideas. We don’t have a mudroom in our house and I am having an architect come out on Monday to draw up some plans. 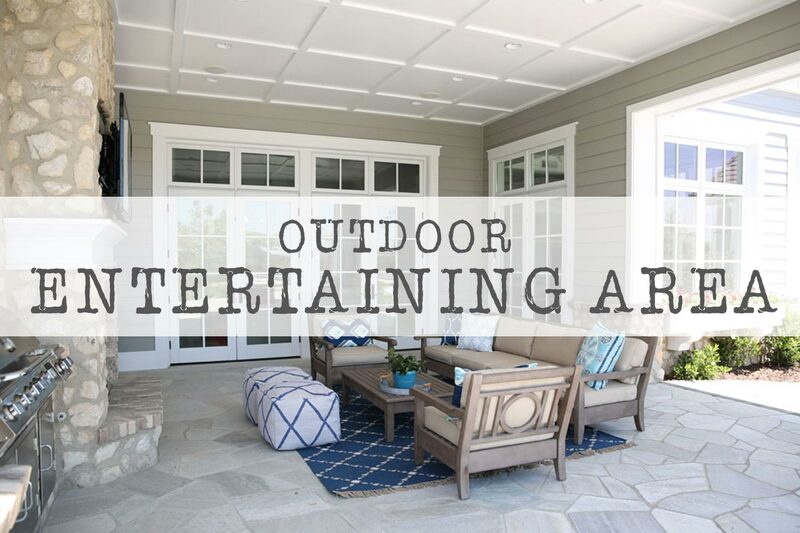 We are going to convert our screened in porch on the side of our house to a mudroom. 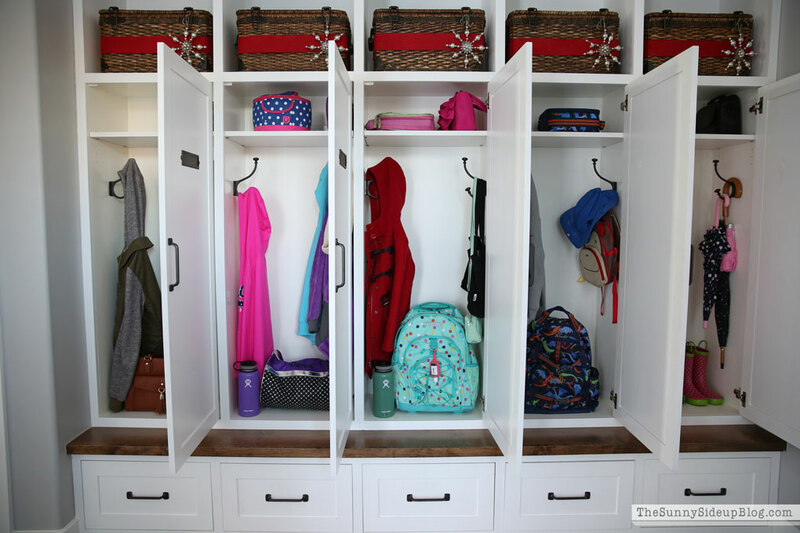 I love your idea of lockers instead of open storage to cut down on visible clutter. Also, the name plates are great! 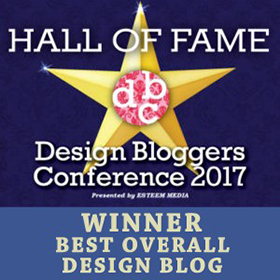 I am going to show the builder and architect your ideas on Monday! Thank you for sharing. 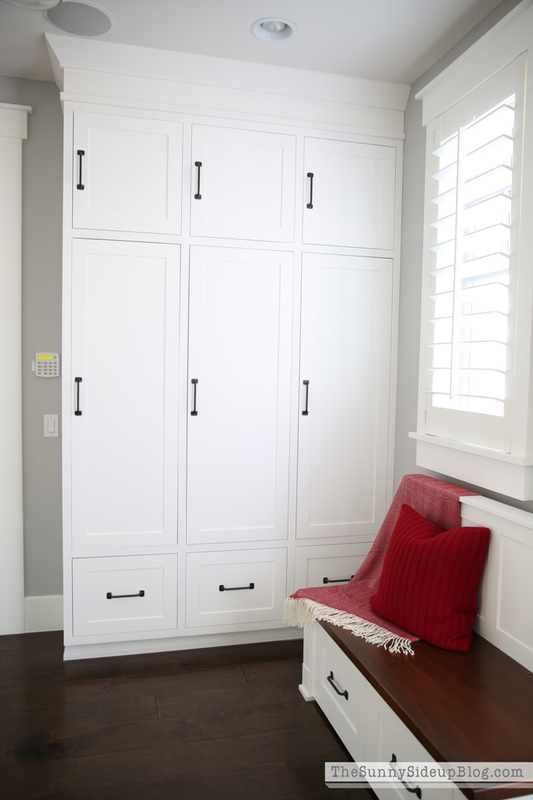 I absolutely LOVE the cupboards you have in your mudroom, do you happen to have the dimensions? Thank yoU! What a fantastic mud room!! Is the bench custom made? If not where did you get it? I’m looking for a bench with drawers like that. 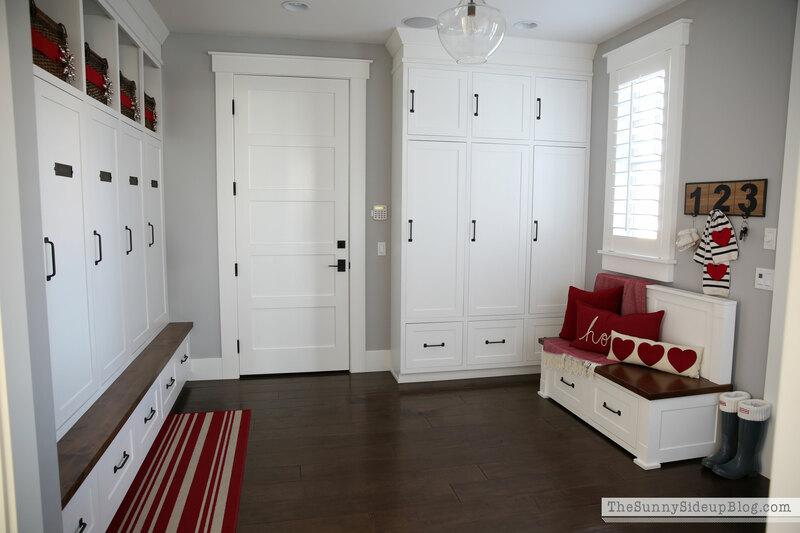 Hi–LOVE this mudroom. Did you ever do a post with the dimensions on the lockers/benches? I can’t find it…Also, what is the total size of this room? We are turning our three-season porch into a mudroom. It’s 9×15. I’d love to use your mudroom as a model for ours. 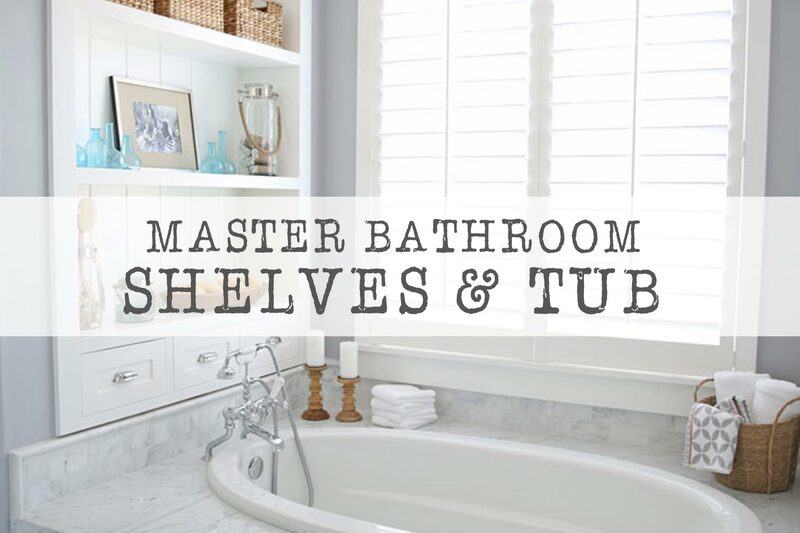 We also need to add a powder room in there. Lastly, if you own them, where do you store your boots that are longer in length (ones that go just to your knee or above? Do they fit in the drawers? Do you store them some place else? Your mudroom is amazing! We are having some lockers custom made as well, could you share the dimensions of one locker? Thank you so much for your time!